The Doriot Family Nativity Scene was a war zone. Every year my parents put out a handmade wooden Nativity scene. There’s a swinging fence, hay on the ground in the barn, a reverent recreation of the first Christmas. And every year I couldn’t help but desecrate it. The first thing I did when the Nativity Scene came out of the attic was hijack it to use with my wrestling figures. The barn became the backdrop for an epic wrestling match. I called it the annual Christmas Clash. The Christmas Clash was the centerpiece of my make-believe wrestling federation – the biggest card of the year, my own personal Wrestlemania. For some reason I loved having this beautiful barn as the setpiece for my miniature grapplers to have their most important matches. The baby Jesus sat in the background and an angel looked down overhead as Shawn Michaels and Diesel wrestled all around. This is what I turned the Christmas story into as a child. What have we turned Christmas into? The mission of POP GOD has been to seek God in the present tense of pop culture. You would think it’d be easier than ever to see God’s presence in pop culture during Christmas. But Christmas has become less a celebration of the arrival of a Savior and more of a pagan holiday celebrating generic platitudes like giving and happiness and togetherness. God has allowed us to redefine our worldly celebration of the birth of His Son in many different ways. Still, if you look closely, you can see the spirit of Christ amongst the masses. Just as the baby Jesus was present in my Nativity Scene Smackdowns, the Lord is present in the pop culture of Christmas. Where is God in the minutiae of this holiday? Where is God in the cheesy Christmas songs and movies? Where is God in egg nog and Christmas Tree Cakes? I used to think I was being blasphemous with the way I used my wrestling figures. Now I think I was just embodying what Christmas is all about – the presence of the Lord descending into our everyday lives. As a child though, I relegated the savior to the background as my wrestling figures brawled before His birthplace. This year on POP GOD, we’ll be celebrating the presence of God in the midst of every aspect of Christmas in pop culture. 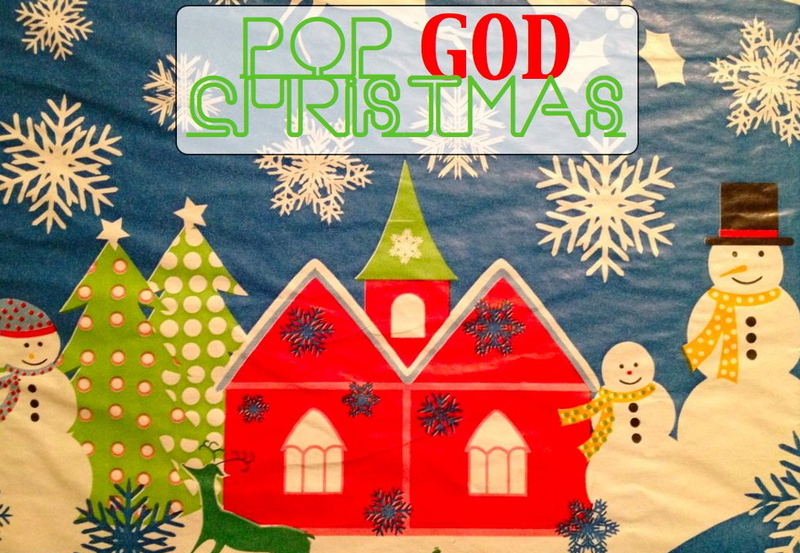 Stay tuned to POP GOD during the Advent season for a special Christmas countdown. We’ll have a new post every weekday leading up to Christmas including a few Guest Posts and a special Christmas music episode of the POP GOD POPcast. Christmas does not mean what it once did. God’s presence is in the background of how the world celebrates the season. But He is still there – if only we will look.